We had the active family Bartolini, Mum Claire, Dad Marco, & 8 year old twins Alina & Sophia, staying this weekend to provide an insight into family adventures in the Brecon Beacons. 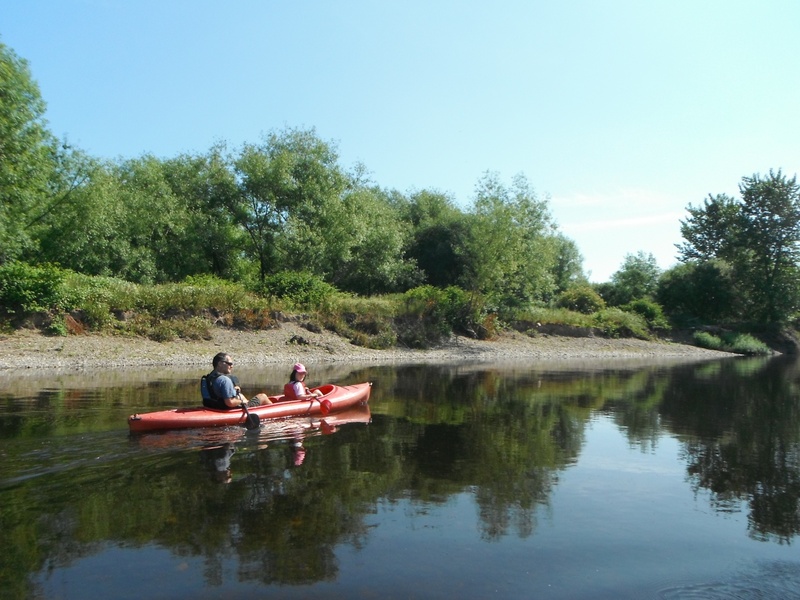 The big success was our morning paddling the River Wye from Glasbury to Hay. After a lovely coffee & juice at the adjoining River Cafe, the helpful guys at Wye Valley Canoes www.wyevalleycanoes.co.uk kitted us out with a kayak & a canoe, lifejackets, maps, safety briefing & most importantly a big waterproof barrel for our snacks ! After being launched (ahem) we perfected our technique around Glasbury bridge before heading downstream. Claire & I took the open canoe with Alina & Marco & Sophia went with the double kayak. 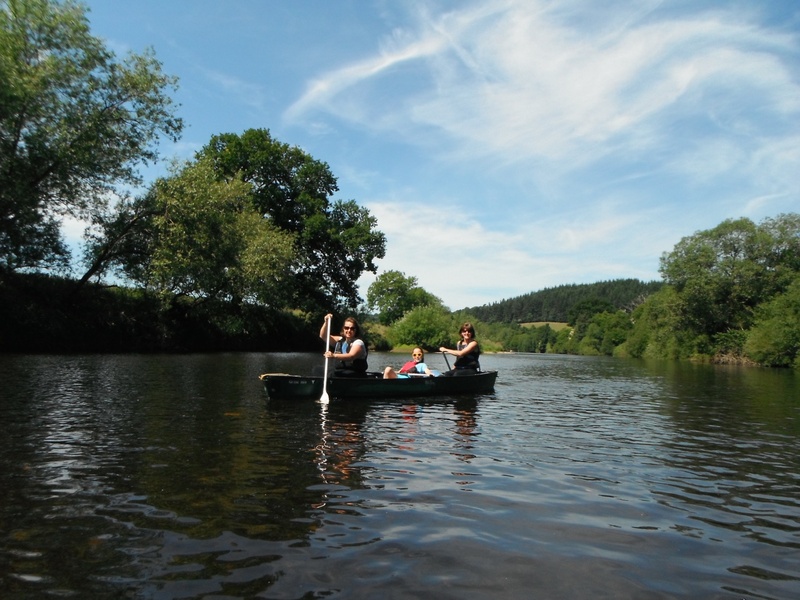 Our wildlife spotting started as soon as we left Glasbury – the steep sandy banks where home to hundreds of Sandmartins – a Sandmartin luxury hotel was the description Sophia gave to it ! Our paddling was peaceful & the water slow & calm – well until the girls did a boat swap – it turns out Sophia took to kayaking like a duck to water & her ploy to get back into said kayak was to grumble about not being able to ‘do’ the single canoe paddle – thankfully Alina was happier with the canoe so peace soon resumed after we beached ourselves for a snack break ! 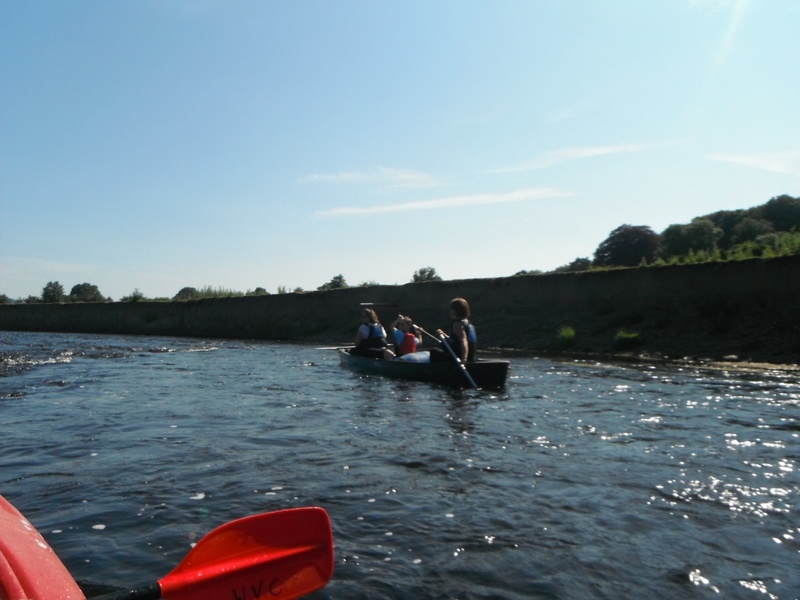 Our briefing had included a guide the small set of rapids just before Hay – these are just at a shingly area known as Hay Beach, which was really busy with locals enjoying the sunshine – the rapids were great fun and we kept right as instructed & just let the water carry us along. Our landing spot was just after Hay Road bridge and we managed to get our boats & ourselves out of the water without too much of a show ! We had been instructed to ring Wye Valley Canoes when we landed one of their super efficient chaps was there already so we loaded up the boats & whizzed back to Glasbury.